These perfumes are diluted using homeopathic techniques perfected for use with perfumes in our labs. We create perfumes that people cannot consciously smell, but unconsciously detect for an autonomic response. 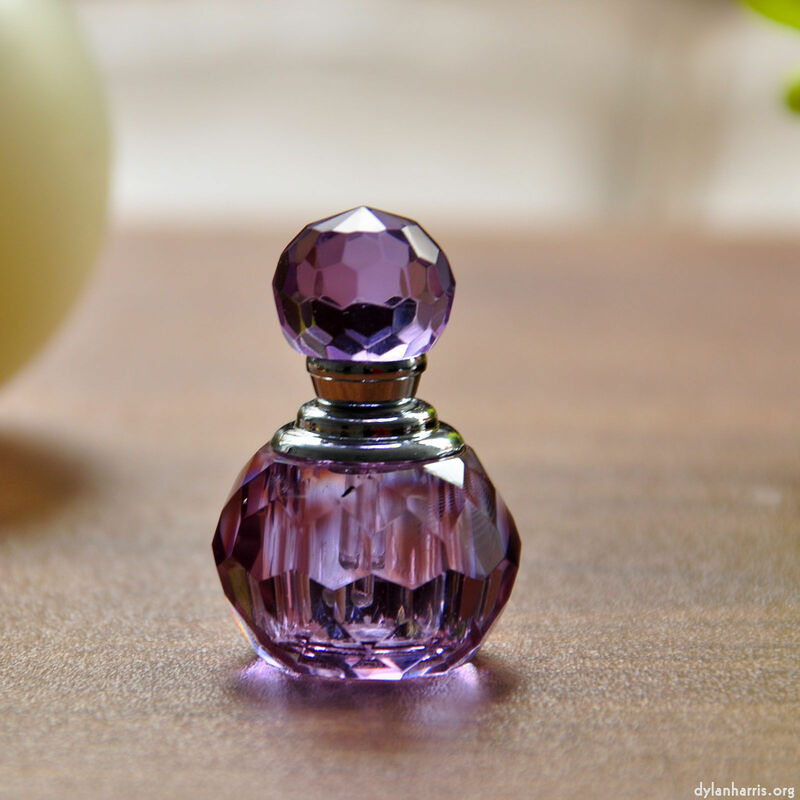 Wear our homeopathic perfumes to influence people without their knowledge. Dogs are notoriously enthusiastic, loyal, friendly, protective, cuddly, silly, and sometimes rather too fond of legs, most of which are characteristics some people might wish to radiate when searching for a new partner. So we set our special scent collecting robot followed a particularly butch dog as it communicated the boundaries of its territory, as dogs do, and collected the chemical communication. Our superb and famous pharmacists took the samples gathered by the robot and used them to prepare the base for our new perfume, eau de chien. Using proprietary homeopathic techniques, we diluted the perfume we created to make the perfect eau de chien. Now if you’re going out for a social event where you expect to meet lots of new and interesting people, wear eau de chien to increase your changes of meeting a particularly special new person. Once you’ve found him, wear eau de chien again to remind him that your legs are particularly interesting and are to be associated with mounting. Rugby players are notorious for heavy rough and tumble in the game, pounding up and down the grass pitch as they attempt to score. We took the socks of a very famous player immediately after they’d been used in a particularly sweaty game, isolated and extracted the special rugby smell, and used that to create our perfume, eau de chaussette. Wear it when you want to remind the man in your life that it’s not just the rugby pitch that needs a good pounding. Cats are élitist, independent, cuddly, calculating, silly, full of personality, never boring and rather fond of the occasional scrap, most of which are characteristics some people might wish to radiate when searching for a new partner. So we set our special scent collecting robot followed a particularly butch cat as it communicated the boundaries of its territory, as cats do, and collected the chemical communication. Our superb and famous pharmacists took the samples gathered by the robot and used them to prepare the base for our new perfume, eau de chat. Using proprietary homeopathic techniques, we diluted the perfume we created to make the perfect eau de chat. Now if you’re going out for a social event where you expect to meet lots of new and interesting people, wear eau de chat to increase your changes of meeting a particularly special new person. Once you’ve found him, wear eau de chat again to remind him that you’re ready for a jolly good scrap, and even more ready to be the spoils of his victory.